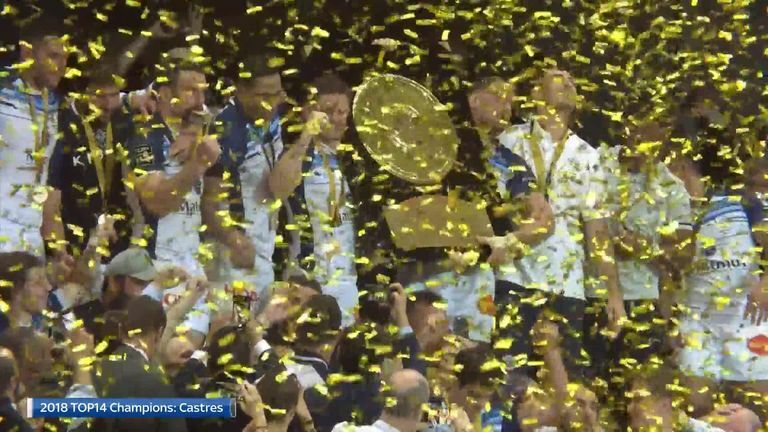 Castres pulled off a remarkable domestic title success in 2017/18. What will the Top 14 have in store for 2018/19? 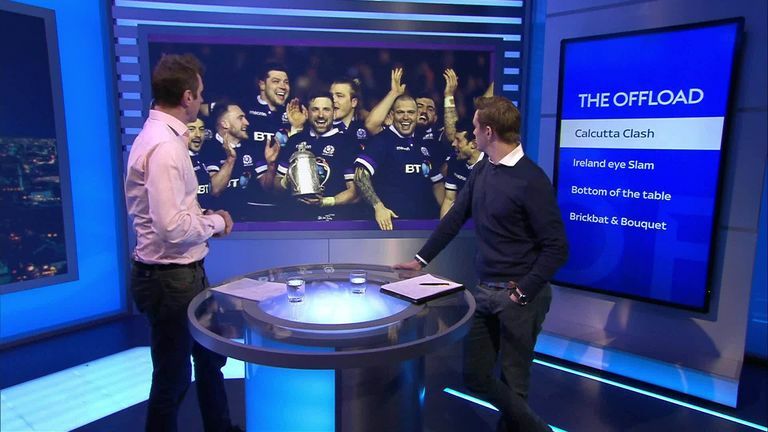 Rupert Cox picks out 14 things to look out for ahead of the new Top 14 season this Saturday, live on Sky Sports. Castres have won the Top 14 three times in 15 years, but can the blue collar win it back to back? Whether they can or not, let's just celebrate this wonderful club and how it continues to fight way above its weight. The club have done clever off-season business with Scott Spedding and Yann David joining. Head coach Christophe Urios (along with defence guru Joe El-Abd) has announced this will be his final season with the club. Will they go out on another high? The Bouclier De Brennus at the Stade Pierre Fabre - Trés magnifique! Final chokers? After bossing the regular season Mohed Altrad's team remain without a trophy once again. Finally, will this be their year? With their squad and new additions such as the latest 'retired' star Johan Goosen on board, they will no doubt reach the final fortnight. But will Vern Cotter's men overcome that Stade de France hoodoo? They need to shift the millstone from their neck. French referees will now wave a blue card for concussion, and teams can make four additional substitutions for injury. World Rugby have sanctioned the trial. Question is: will they use it, or abuse it? Surely the French coaches won't get clever with this ready-made loop-hole and rotate players at will? Back in the big time after four years in the ProD2 wilderness. The once-great seven-time French champions will be growling to prove themselves at the 'bear pit' that is the State Aimé Giral - where they once went five years unbeaten in the 1990s. Former Ulster and Ireland fly-half Paddy Jackson begins his rugby redemption in Catalan country. They will be well worth watching. English entraineur Rory Teague has waved the chequebook at Bordeaux-Begles. Flying Fijian Semi Radradra (how on earth could Toulon have let him go!?) and Super Rugby bruiser Seta Tamanivalu are now residents at the Stade Chaban Delmas. If they can't score tries with those two on the roster - then it's au revoir and toodleoo Rory. Top six try-hards? Try Top 10. Mourad Boudjellal has recruited former La Rochelle boss Patrice Collazo, who becomes the fifth head coach at the Mayol in two years, taking over from Fabien Galthie who departs after just one underwhelming season. Will Collazo get them back to the top? What will star-signing All Black Julian Savea make of the Pilou Pilou? And can the 'Bus' break Chris Ashton's season try-scoring record or will he just end up looking like Mathieu Bastareaud? 7. The new Dan Carter? 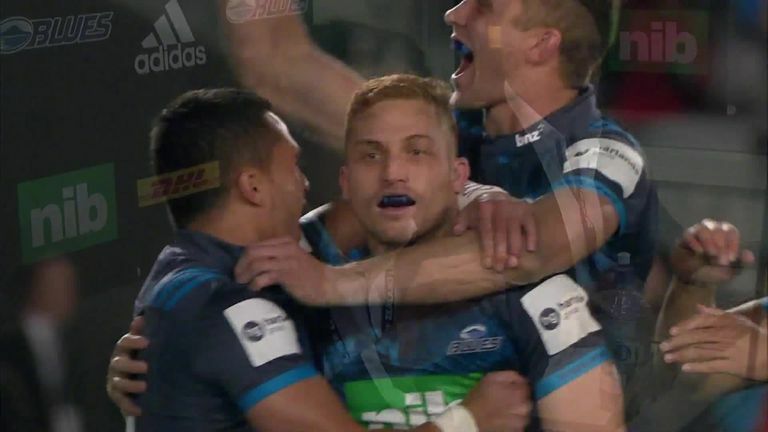 Former Glasgow pivot Finn Russell takes over from the great one, who has finally been put out to a well-earned pasture in Japan. Munster full-back Simon Zebo is also wearing the blanc et sky bleu. Question is: will Finn and Zeebs stay off the Champs Elysee party strip long enough to secure a title? Rocking that concert vibe for home games at the indoor U-Arena. Behave and it's finals day. Will Clermont bounce back after a disastrous season last time out? A Champions Cup semi-final could not put any gloss on a Top 14 straight from hell. The Vulcans went from heroes to zeros in 12 months. But don't expect another annus horribilis for Clermont: they have too many good players, and the Stade Marcel Michelin boasts the best atmosphere in club rugby. Two seasons ago, foundation club Stade Francais were heading for the museum. Now with former Bok boss Heyneke Meyer taking charge, plus a whole host of new signings (Yoann Maestri, Gael Fickou, Nicolas Sanchez), and Dr Hans-Peter Wild's Capri Sun billions bankrolling the project - there really are no excuses left for the boys who love to wear pink. And watching the camera cutaways to Meyer's blood vessel burstathon in the coaching box will be worth the subscription price alone. Pink Panthers. 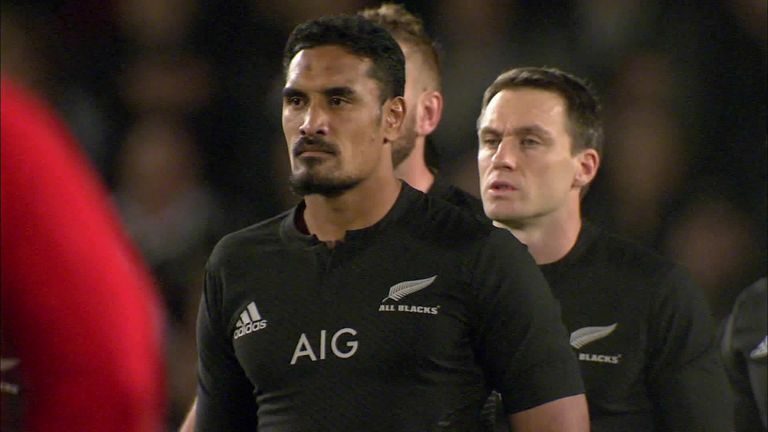 Two-time RWC winner Jerome Kaino joins the 19-time champions Toulouse. Bouncing back after a worst finish in 2016/17, to end up third last season - the Rouge et Noir will again compete for the famous log of wood. Clermont might have the best atmosphere in rugby - but Toulouse has the best sausages and beer in France, which make this the most wanted away ticket in the Top 14. Go on, make a weekend of it. The next big thing in French Rugby? Only Castres upstaged the Lyonnais as giant killers last season. Second largest population in France, traditionally known as a football town, the country's gastronomic capital now has something very tasty cooking on the rugby stove. Beastly ball carrying Liverpudlian Carl Fearns is ready to come back from a knee twisting season-ender. Five-star reviews. Former Ulster coach Jono Gibbes will soon be in charge. With Patrice Collazo now counting the cash in Toulon - can Gibbes replicate the same style? Doubtful. The signing of Blues and Maori All Black Ihaia West (remember that try against the 2017 British & Irish Lions?) suggests they're good to go again. Fijian Levani Botia will make defenders look silly all season long - if he can stay fit. Mid-table maritimes. Without Stef Armitage for most of the season, the best breakdown ball-thief since a bunch of cockney burglers jumped on the the Orient Express, Pau will struggle. Retired All Black superstar Conrad Smith is also not suiting up. Head coach Simon Mannix can be heard shouting through the pitch-side microphones all the way back in Manawatu. Keep it clean Simon! Flash new Stadium may bring too high an expectation. Relegation flirters. Odds-on for the drop. 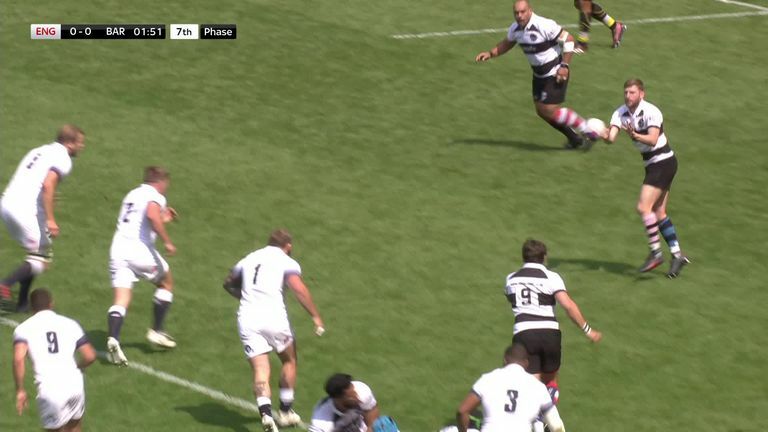 The all-time prince of centres and French rugby maestro Philippe Sella wrote perhaps his greatest symphony by keeping Agen in the top flight last season. But this campaign has difficult second album written all over it. Newly-promoted Grenoble will rely on the big freeze to nick some points off touring teams to the State Des Alpes through those chilly winter months. Trap door to the Pro D2.